Yash Raj Films’ action entertainer, Tiger Zinda Hai, starring Katrina Kair and Salman Khan hits theaters on December 22nd. From what we hear, Salman and Katrina’s high-octane action sequences add to the edge-of-the-seat thrill. 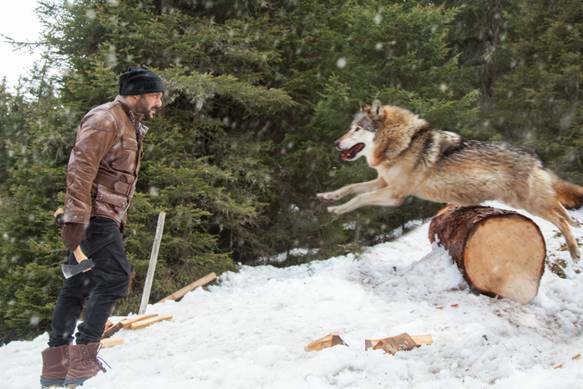 In fact, Salman has taken the action benchmark several notches higher with his most dangerous action sequence to date where he fights with a pack of wild wolves! Yes, you read that right! The scene with wolves has been shot in the snow-capped forests of Austria. The international action crew took all cautionary measures to ensure the wolves are well taken care of and that security measures were on point. The crew spent months planning this with specialized wolf trainers. The action crew lead by visionary action choreographer Tom Struthers has pulled off this sequence which also needed Salman Khan to take a serious risk. Well, we certainly can’t wait to see the film when Tiger Zinda Hai releases on December 22 worldwide.